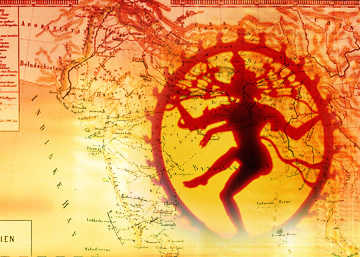 Indian Culture and Nation Building | Fourth Dimension Inc.
An exclusive preoccupation with politics and economics is likely to dwarf our growth and prevent the flowering of originality and energy. We have to return to the fountain heads of our ancient religion, philosophy, art and literature and pour the revivifying influence of our immemorial Indian spirit and ideals into our political and economic life. For those who love India and her glorious spiritual heritage, need of the hour is not singing our past glories, but to think out how to use the cultural and spiritual resources of our past for building a greater India of the future. Towards applied culture; culture and development; genius of India and the future of mankind; task ahead; yoga as education. The need of the hour for the culture-sensitive Indian mind is not a nostalgic dreaming of our past greatness but to explore the possibilities of how to realise the deeper insight, vision and values of Indian culture in our modern environment and in every dimension of our modern society-economic, social, political and cultural. In short, what we need most today is not only a philosophical and aesthetic appreciation of our culture but also “applied culture”, or in other words, culture applied to the modern development-process and Nation-building. This doesn’t mean that there is no scope for a further study or research in Indian Culture. First of all we must have a clear understanding of the deeper meaning and significance of Indian culture and its spiritual vision and values before we can apply them to the outer life. This clarity or understanding comes from constant contemplation. This effort towards a new rediscovery of Indian values through a fresh contemplation or understanding – not merely eulogizing or singing its past glories – is itself a creative and pragmatic activity because it helps in awakening and activating the Indian genius in the collective consciousness of the nation. Moreover, there are certain areas in indological studies, which have not yet been explored with sufficient depth, insight and comprehensiveness. For example insights of Sri Aurobindo and Swami Vivekananda on the cultural and spiritual history of India can be an inspiring foundation for a fresh and a more extensive exploration of the subject. But, along with this effort towards a better understanding of Indian Culture, we must also think out the practical implications of Indian values to the developmental needs of our modern age and the future world. But to a modern secular mind this approach based on culture may appear as something antique and backward. The Culture belongs to “soft” aspects of life like Music, Art, Literature, Philosophy, Religion, etc. It is the realm of the poet, artist, philosopher and saint or sage. What has it to do with the hard-core realities of economics, society, politics, industry and commerce? We have to deal with poverty, a ruthlessly competitive global economy, a fast-changing society and the galloping pace of technological progress. Productivity, efficiency, professional competence, “competitive strategy”, management, technology – these are the watchwords of the contemporary world. What we need today are not the lotus-eating exponents of culture but dynamic result-oriented executives, technocrats and managers. This is a line of rhetoric fashionable among some sections of the modern youth. The orthodox exponent of culture confronts this arrogance of modernism with the arrogance of his spiritual and intellectual orthodoxy, dismissing it scornfully as the evils of the materialistic civilization. But in an integral perspective we cannot dismiss this pragmatic orientation of the modern mind as low materialism because there is a truth behind it. “Consider any great organization-one that has lasted over the years. I think you will find that it owes its resiliency not to its form of organization or administrative skills, but to the power of what we can call beliefs and the appeal these beliefs have for its people. This then is my thesis: I firmly believe that any organization, in order to survive and achieve success must have a sound set of beliefs on which it premises all its policies and actions. Next, I believe that the most important single factor in corporate success is faithful adherence to these beliefs. And finally I believe that if an organization is to meet the challenges of a changing world, it must be prepared to change everything about itself except those beliefs as it moves through corporate life. The above passage, written in the context of organizational management by one of the most successful business leaders of the modern age, applies equally to the management of a Nation. In the ultimate analysis what determines the long-term viability and success of a Nation is not the hard and tangible things like management and technology which dazzle the superficial outward-gazing look; it is the soft and intangible factors like the spirit, philosophy and beliefs of a Nation – which is what culture is all about – and the fidelity to these values by the people, that determine the long-term stability and progress of a Nation. However we have to qualify the thoughts of Watson with a caveat. There are many types of beliefs and philosophies. A belief or philosophy which is exclusively materialistic and selfish, which aims at the aggrandisement of the collective ego, like for example Nazism, cannot lead to the greatness of a nation. So, the long-term sustainability of a Nation depends not on its philosophy or beliefs perse, but on the nature and quality of the philosophy or belief. This brings us to the question what is the criterion for arriving at the right kind of philosophy. There are two conditions: first it must lead to the well-being and progress of the larger whole of humanity, of which nation is a part; second it must be in harmony with the deeper self, natural temperament and the unique genius of a nation. Here comes the pragmatic importance of culture. For it is in a Nation’s culture, by which we mean its religion, philosophy, art and literature, we can find a clear indication of its unique spirit, natural temperament, inborn genius, guiding values and its mission in the evolutionary destiny of humanity. But what is precisely the unique genius of India? Even a superficial perusal of Indian history, especially its cultural history, will show the tremendous influence of Religion and Philosophy in shaping and moulding the Indian Civilization and its values. If we examine a little more deeply and closely the religious and philosophical heritage of India, we will find that Indian Religion and Philosophy are the outer expression of something deeper than both, which we may call as Spirituality. And again, when we examine the spiritual heritage of India with a deep discerning view, we will find at its core, not a belief or a dogma but a great Science called Yoga. So Spirituality and Yoga are the essence of the Indian genius. But the term “spirituality” is a much-misunderstood word and has acquired many negative associations like for example renunciation or denial of the world. Let us examine briefly the scientific and pragmatic significance of Spirituality for human and national development in the light of Sri Aurobindo’s integral and evolutionary vision of human destiny. Sri Aurobindo wrote in one of his early letters to a disciple “My present teaching is that the world is preparing for a new progress, a new evolution and whatever race, whatever country seizes on the lines of that new evolution and fulfills it will be the leader of humanity.” What is the nature of this new evolution? Sri Aurobindo answers in an article in Bande Mataram “…In the next great stage of human progress it is not a material but a spiritual, moral and psychical advance that has to be made and for this… India must take the lead.” What is the aim and destiny of this evolution? It is a quantum leap of human consciousness from the present condition of limited, egocentric and rational mentality towards an unconditioned, supra-rational, egoless and global consciousness. And Yoga is the scientific and systematic psychological and spiritual discipline by which this new evolutionary transition from egocentric and rational consciousness to a suprarational and global consciousness can be consciously made in the individual and also in the collectivity. This aspiration or quest for a higher global consciousness beyond the rational mind and a scientific and systematic approach or method to realise this higher consciousness in the individual and the collectivity is the essence of spirituality and also the essence of the Indian genius. According to Sri Aurobindo this progress towards a higher consciousness beyond Reason is the next step in human evolution; it is something inevitable and decreed. Just like the human species with the self-conscious rational mind evolved out of the instinctive infra-rational consciousness of the Animal, so also a new species, a new race with suprarational and global consciousness will evolve out of the rational mentality of the human species. Whatever race, country, or collectivity makes this higher evolution through yoga the central ideal or motive of its development strategies will be the leader of the future. And India is the most obvious and natural choice to become the leader because among all Nations only India possesses and preserves the psychological and spiritual knowledge needed for this higher evolution. The ancient spiritual traditions of India possessed this higher knowledge in the Vedas, Upanishad, Buddhism, Tantras and Yoga. The architects of the ancient Indian civilization made a great attempt to generalize this higher knowledge through Religion and a social organization favourable to the pursuit of the spiritual idea. But the ancient Indian attempt somewhere failed in the middle and was not able to reach its logical fulfillment in the spiritualization of the whole life. We will not enter into the causes of this failure here. But according to Sri Aurobindo, the work and mission of future India is to resume the unfinished work of ancient India and fulfill its mission of giving a total spiritual direction to the whole of life. To achieve this mission, the creative and thinking mind of India has to first rediscover its ancient spiritual knowledge, reshape it, give it new forms suitable to the present conditions and the future needs of India and the world. And more importantly, apply this spiritual knowledge to the whole of the individual and collective life and in every activity of life – economics, society, politics, business, science, education, religion and culture. Sri Aurobindo in the following passages describes the work and mission of future India. But this yogic approach to development may raise some legitimate questions in the pragmatic mind. What are the practical results of Yoga? What it can bring to the individual and community? Yoga can lead the human being to the very source of well being, creativity and values; it can link the creative energy of the human being to the creative energy of the Universe. But this is the highest aim and the end-results of Yoga. But the practical results of Yoga can be felt even in the beginning of Yoga or at any stage of its progressive practice. Yoga can open new and higher faculties, which are at present unmanifest in the human being; it can help the individual to enter into deeper and inner layers of consciousness with greater powers of knowledge, action, feeling and aesthesis than our present rational consciousness. In other words Yoga can bring to the individual and collective consciousness and life of human beings, progressively with an increasing intensity, the light, power, wisdom, creativity and love of a consciousness deeper, vaster and greater than the rational mind, with all its practical consequences for the material, psychological, moral and spiritual development of man.